*Blind Spot Technology - Never Worry When Changing Lanes Again*, *Bluetooth® Hands-Free Calling*, *Heated Front Leather Seats*, *Navigation*, *Rear View Back-Up Camera*, GLK 350, 4D Sport Utility, 3.5L V6 DOHC 24V, 7-Speed Automatic, RWD, Black, Black MB-Tex MB-Tex, 115V AC Power Outlet, Auto-Dimming Mirrors, Blind Spot Assist, Digital Compass Display, Garage Door Opener, iPod/MP3 Media Interface Cable, iPod/MP3 Media Interface Package, Lane Keeping Assist, Lane Keeping Assist Package Code, Lane Tracking Package, Panic alarm, Power Liftgate, Power Tilt/Sliding Panorama Sunroof, Premium 1 Package, Security system, SIRIUS XM Satellite Radio. 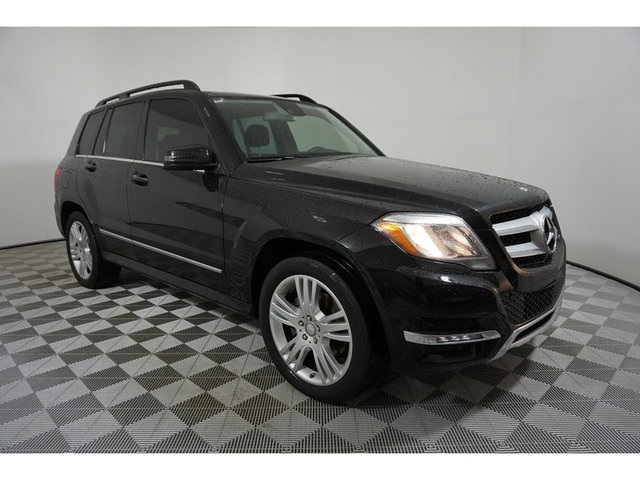 Please reach out: in case we missed a picture or a detail you would like to see of this 2015 GLK, we are happy to send you A PERSONAL VIDEO walking around the vehicle focusing on the closest details that are important to you. We can send it directly to you via text, email , or Facebook messenger. We look forward to hearing from you! * JD Power Vehicle Dependability Study **While we make every effort to verify options; occasionally human error may occur. ** Every pre-owned vehicle comes with our Exclusive 3/30 Guarantee. If you are dissatisfied for ANY reason, you have three (3) days or 150 Miles to return the vehicle for a full refund of the purchase price or an entire thirty (30) days or 1,000 miles to return the vehicle for a credit towards the purchase of a different vehicle of equal or greater value. Contact us for complete details. Must be in State purchase.